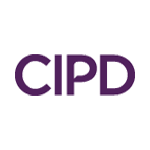 The CIPD has today launched a new and fully updated Profession Map which sets out the knowledge, behaviours and values underpinning today’s people profession in the modern world of work. The new Profession Map – the first since the 2013 version of the CIPD’s original Profession Map – has been designed to reflect the changes in the world of work and the priorities and role of people professionals. Major trends, from the changing demographics and needs of the workforce to alternative employment models and increasing use of technology, have challenged us to innovate and adapt our people management practices and approaches. The Map will evolve in line with the world of work, updating when the landscape shifts and keeping experts in people, work and change future-fit for years to come. Developed in consultation with CIPD members, business leaders, industry experts and partner organisations from around the world, the new Profession Map is for all people professionals. From those just starting out in their careers to the most senior people directors, and from broad people generalists to those who have chosen to specialise in the many different areas of the profession. The Map focuses on values-based decision-making rather than generic practice or processes, to prepare all people professionals for steering judgement even where no obvious solutions, rules or precedents exist. It will help people professionals to build capability in themselves, their teams and organisations; develop expertise in emerging areas of practice; drive sustainable organisational change; and reinforce the value of the profession as experts on people, work and change. In time, the new Profession Map will underpin all CIPD qualifications, membership standards and CPD tools. This is a gradual process that will progress over the next couple of years. In the meantime, the 2013 Profession Map will still be referenced, and some of the newer areas of capabilities are being supported by ongoing learning programmes.